We may still have a few more months to go until we can start thinking summer dishes, but after such a long stretch of winter in Wisconsin, it's time to distract ourselves with a fresh mango salsa. This recipe is very flexible as far as the ingredients and amounts go, so make it your own. In this version, we chose to use a mix of mango and pineapple for flavor, onion and bell pepper for a little crunch, and cilantro and lime juice to tie it all together. Enjoy this dish with a bag of tortilla chips, on top of tacos, or as a garnish for a Mexican-inspired Buddha Bowl; the possibilities are endless! [Side note: When recipes call for a small amount of fresh fruit (such as the pineapple in this recipe), one hack is to scope out your grocery store's salad bar. More and more grocery stores are serving fresh pre-cut fruit that can be bought in any amount that you need, rather than buying a whole fruit]. Combine all of the ingredients in a medium bowl and stir until homogeneous. Cover with plastic wrap and transfer to the refrigerator for at least an hour to let the flavors come together. Season to taste, with additional salt, pepper, cilantro and/or lime juice. Recipe adopted from Cuisine at Home magazine. [Recipe makes (2) 8-inch rounds, or (28) standard-sized cupcakes]. 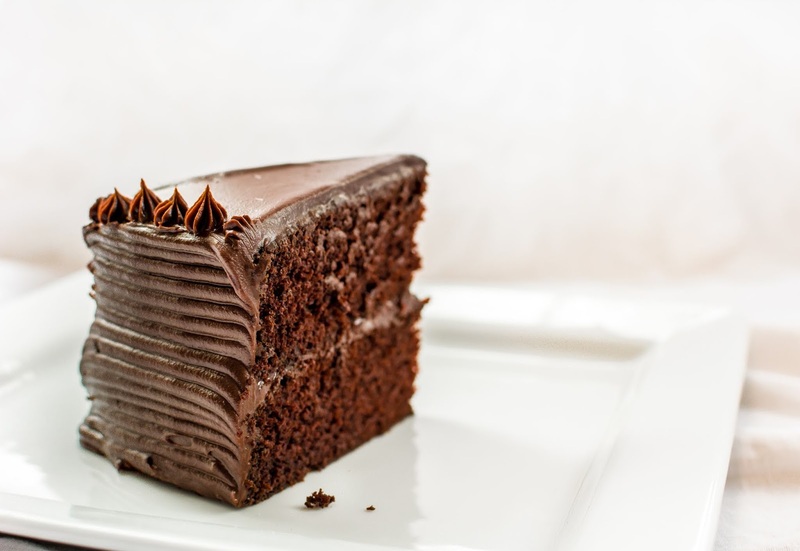 Although this recipe goes by many odd names and variations (wacky cake, crazy cake, dump cake, and cockeyed cake to name a few), they are all different from your typical chocolate cake recipe due to the fact that no eggs or butter are used (thus, it's naturally vegan!). After doing a little research, I found out that this recipe was popular during the Great Depression, which explains the lack of these ingredients. Now I've never been a huge cake fan, but crazy cake is completely different from your standard yellow or chocolate cake. In addition to being insanely easy to whip up (no KitchenAid needed, although feel free to use if you prefer), this cake stands out above others due to its moistness. The worst thing in the world is a slice of cake that crumbles all over the place when you cut into it, and I assure you, this will not be a problem. With ease and texture aside, yet another reason why this recipe takes the cake (sorry, guys) is the flavor. By using a small amount of coffee, the cocoa balances out nicely, without being a coffee-flavored cake. Combine this recipe with a nice chocolate ganache (made from coconut cream and dairy-free chocolate chips), and you'll have all you need to whip together the world's best chocolate cake. Preheat oven to 350° F. Grease the bottoms and sides of two 8-inch round cake pans, place an 8-inch diameter piece of parchment paper in the bottom of each pan, and spray the tops of the papers. Sift the flour, sugar, cocoa, and baking soda into a large mixing bowl. Add the salt. Make a well in the middle of the dry ingredients, and add the water, oil, vinegar, coffee, and vanilla. Whisk just until combined. Divide the batter equally between the two pans. [Side note: If using a digital scale, it will be roughly 1 lb 10 1/2 ounces in each pan]. Bake for 30 minutes, or until the center of each cake is firm to the touch and a toothpick comes out clean. Let the cakes cool for 10 minutes, and then invert them onto a wire cooling rack. Cool completely before icing. [Side note: If you wish to make these ahead of time and ice later, let the cakes cool as directed, and then wrap them in plastic wrap followed by aluminum foil, and freeze. Let them thaw slightly before icing]. Recipe adapted from Forks Over Knives. [Recipe makes (3) large servings or (6) small servings]. With Valentine's Day fast approaching, it's time to think of quick vegan desserts that aren't packed with sugar. Mousse is typically made with whipped egg whites and cream, but with this vegan version, all that's needed is some tofu and a blender! Rich in flavor, this raspberry and chocolate mousse will get you asking for seconds! An added bonus to this recipe is that it's made with maple syrup as its sweetener rather than processed sugar. This dish can either be made hours before serving, or else the day before for a stress-free Valentine's Day dinner. For the raspberry mousse, add the raspberries and maple syrup to a small sauce pan. Cook over medium-low heat for roughly 10 minutes, stirring occasionally. [Side note: If you are using frozen raspberries, you might need to cook slightly longer, until the sauce thickens]. Let the raspberries cool slightly, and then add to a blender along with the tofu and lemon juice. Blend until completely smooth. Transfer to a container and let cool completely in the refrigerator. For the chocolate mousse, add the tofu, cocoa powder, maple syrup, vanilla, and salt to the (cleaned out) blender and blend until completely smooth. Transfer to the refrigerator and reserve until the raspberry mousse is completely cool. When you're ready to serve, divide the chocolate mousse between three to six serving containers, and top with equal amounts of the raspberry mousse. Top with fresh raspberries and/or chocolate shavings for garnish. Recipe for Cranberry Chutney adapted from The Cheeze Factory Cookbook. [Recipe makes ~8 servings]. Roughly a year ago, we tried this dish for the first time and were absolutely blown away. We knew that we had to do our best to re-create it at home. Every component was cooked and seasoned to perfection, and the combination of flavors and textures just made total sense. Usually when we hear about a cranberry chutney, we think about a side dish on Thanksgiving, but it can be so much more than that. The base layer in this dish is a rich and spicy lentil and rice mixture that gets its flavor from garam masala and curry powder. Next comes an array of vegetables to provide nutrients, color, and texture. And then comes the cranberry chutney with notes of cinnamon and citrus, followed by a dollop of cashew sour cream which cools down the pallet and ties everything together. It may seem like quite the dish to pull off, but we assure you that the flavor combination that you achieve is totally worth it. As we note below, we like to make things a little easier on us by splitting the recipe into two days. On the first day, we tackle the cashew sour cream and cranberry chutney, since they both need to be cool anyways. And then the day you plan to serve the dish, roast your vegetables while your Indian lentils cook away on the stove top. Begin the day before by making the cranberry chutney and the cashew sour cream. For the chutney, add the orange juice, cranberries, sugar, Worcestershire, ginger, curry, cinnamon stick, and raisins to a thick-walled sauce pan. Bring to a boil and then reduce to a simmer for 10 minutes. Remove from the heat and stir in the zest. Let cool overnight. For the cashew sour cream, refer to the ingredients and instructions in the link provided. Cool overnight. For the Indian lentils, heat a large thick-walled sauce pan over medium heat and add the olive oil. Cook the onion for 5 minutes. Add the garlic, brown sugar, garam masala, curry powder, salt, and tomato paste. Cook for several minutes to bring out the spices. [Side note: If the mixture starts to stick to the bottom, stir in a splash of water as needed]. Add the lentils, rice, diced tomatoes, and broth. Bring to a boil, and then reduce to a simmer. Cook on medium-low for 30 minutes, or until most of the liquid has been absorbed, stirring often. To serve, plate the lentils, followed by your favorite vegetables and toppings, a dollop of cashew sour cream, and a spoonful of cranberry chutney. 2018 is coming to an end, and similar to last year, that means that there's another documentary on YouTube (by Plant Based News) that covers the "ever growing vegan movement and how it's best for the animals, human health, and the planet". 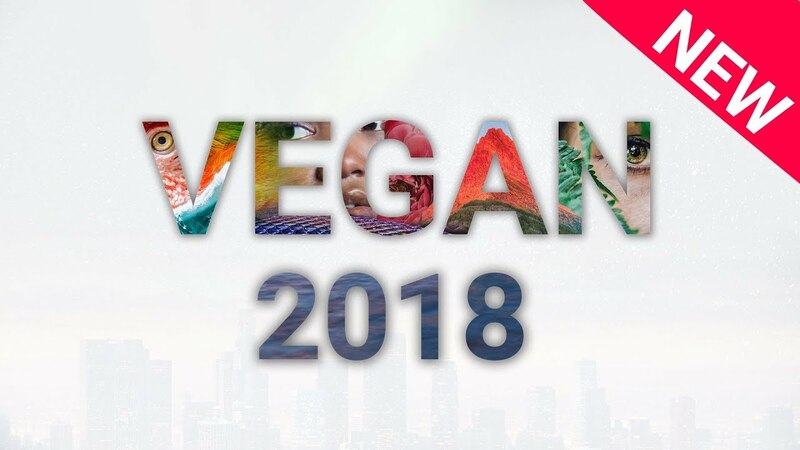 The film highlights some of our favorite vegans, including Joey Carbstrong, James Aspey, Neal Barnard, Michael Greger, Earthling Ed (Ed Winters), among others. As always, whether you're a lifelong vegan, new to the movement, or hearing about it for the first time, we encourage you to give this a watch, as well as some of our other favorites on our blog. For informative posts that we've written over the year, feel free to check out some of our posts at the bottom of the Index above. We hope that wherever you are in your journey, you find the time for continued education. Happy holidays, and we'll see everyone in 2019!